Area: About 309,500 sq. km. (approximately the size of the State of New Mexico). It is bordered on the north by the United Arab Emirates (U.A.E. ), on the northwest by Saudi Arabia, and on the southwest by the Republic of Yemen. The Omani coastline stretches 3,165 km. Cities: Capital: Muscat. Other cities — Salalah, Nizwa, Sohar, Sur. Climate: Hot and humid along the coast; hot and dry in the interior; summer monsoon in the far south. Nationality: Noun — Oman. Adjective — Omani(s). Population (2010 census): 2.69 million. Annual population growth rate (2009 est. ): 2.0%. Ethnic groups: Arab, Baluchi, East African (Zanzibari), South Asian (Indian, Pakistani, Bangladeshi). Education: Literacy: approx. 81% (total population). Health (2009 est. ): Infant mortality rate — 17 deaths/1,000 live births. Life expectancy — 73.8 years. Work force: 920,000 total; Agriculture and fishing — approx. 50%. Constitution: None. On November 6, 1996, the Sultan issued a royal decree promulgating the Basic Statute, which clarifies the royal succession, provides for a prime minister, bars ministers from holding interests in companies doing business with the government, establishes a bicameral parliament, and guarantees basic rights and responsibilities for Omani citizens. Branches: Executive: Sultan. Legislative — bicameral Majlis Oman (appointed State Council and elected Consultative Council). Judicial — Civil courts are divided into four departments: criminal courts handle cases under the penal code; family courts oversee personal status issues using Oman's Personal Status Law, which is based on Shari'a (Islamic law); commercial courts adjudicate business and commercial matters; labor courts oversee labor and employment cases. Administrative subdivisions: Eleven governorates — Muscat, Dhofar, Musandam, Al-Buraimi, Al Batinah North, Al Batinah South, Al Dhahirah, Al Dakhliya, Al Shariqiya North, Al Shariqiya South, Al Wusta. There are 63 districts (wilayats). GDP (2011 est. ): 6.2 billion Omani rial ($16 billion). Real GDP growth rate (2012 est. ): 4.8%. Agriculture and fisheries: (1% of GDP in 2010). Products — dates, bananas, mangoes, alfalfa, other fruits and vegetables. Fisheries — kingfish, tuna, cobia, shrimp, lobster, abalone. Industry: Types: crude petroleum (not including gas liquids) about 865,000 barrels per day; construction (5% of GDP in 2010), petroleum refinery, copper mines and smelter, cement and various light industries. Trade (May 2011): Oil and gas exports — $12.6 billion (47% of GDP in 2010). Major oil markets — China (41%), Japan (14%), India (14%), Thailand (11%), Korea (6%), Taiwan (5%). Non-oil exports — $3.12 billion: live animals (6%), mineral products (28%), chemical products (23%), plastic and rubber products (13%), base metals (14%). Major markets (non-oil): U.A.E. (16%), China (12%), India (11%), Saudi Arabia (7%), Taiwan (6%). Imports — $9.6 billion: electrical machinery (21%), transportation equipment (26%), prepared foodstuffs (4%), mineral products (8%), chemical products (8%), base metals (11%). Major suppliers — U.A.E. (28%), Japan (12%), United States (6%), Saudi Arabia (6%), India (5%). 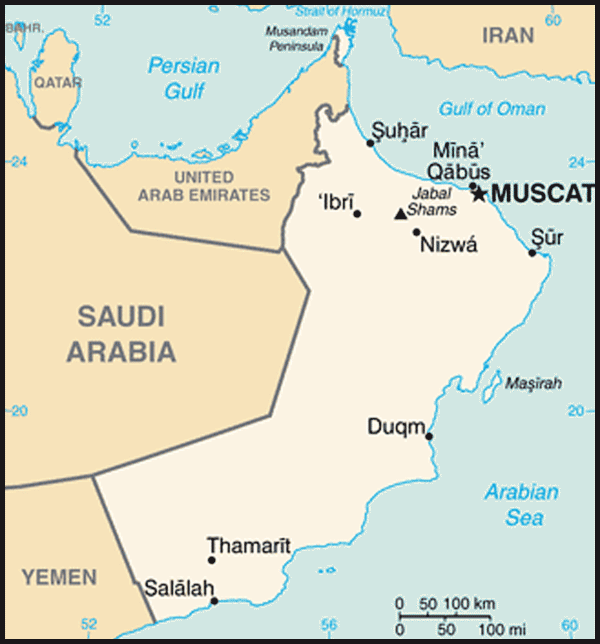 About 55% of the population lives in Muscat and the Batinah coastal plain northwest of the capital; about 215,000 live in the Dhofar (southern) region, and about 30,000 live in the remote Musandam Peninsula on the Strait of Hormuz. Some 815,000 non-nationals live in Oman, most of whom are guest workers from South Asia, Egypt, Jordan, and the Philippines. Since 1970, the government has given high priority to education in order to develop a domestic work force, which the government considers a vital factor in the country's economic and social progress. In 1986, Oman's first university, Sultan Qaboos University, opened. It has continued to expand, recently adding a law college, and remains the country's only major public university. In total, there are about 25 public post-secondary education institutions in Oman, including technical colleges, teacher training colleges, and health institutes. There are three private universities and 20 private post-secondary education institutions in Oman, including a banking college, a fire and safety college, a dentistry college, and business and management colleges. Most of these public and private post-secondary education institutions offer 4-year degrees, while the remainder provide 2-year post-secondary diplomas. Since 1999, the government has embarked on reforms in higher education designed to meet the needs of a growing population. Approximately 40% of Omani high school graduates pursue some type of post-secondary education. In July 2011 the Government of Oman announced 500 new scholarships annually for study in the United States, as part of an overall program of 1,500 scholarships for the year for Omani students going overseas. These scholarships are guaranteed for the length of undergraduate study, including up to a year and a half of intensive English language study prior to entering a degree program. The government also recently announced a new graduate scholarship program to award 1,000 scholarships over the following 5 years for study in the U.S., Canada, U.K., Australia, Germany, Japan, and Singapore. When Sultan Sa'id bin Sultan Al-Busaid died in 1856, his sons quarreled over his succession. As a result of this struggle, the Omani empire — through the mediation of the British Government under the "Canning Award" — was divided in 1861 into two separate principalities — Zanzibar, with its East African dependencies, and Muscat and Oman. Zanzibar paid an annual subsidy to Muscat and Oman until its independence in early 1964. During the late 19th and early to mid-20th centuries, the sultan in Muscat faced a rebellion by members of the Ibadhi sect residing in the interior of Oman, centered around the town of Nizwa, who wanted to be ruled exclusively by their religious leader, the Imam of Oman. This conflict was resolved temporarily by the Treaty of Seeb in 1920, which granted the imam autonomous rule in the interior, while recognizing the sovereignty of the sultan elsewhere. In an effort to end the Dhofar insurgency, Sultan Qaboos expanded and re-equipped the armed forces and granted amnesty to all surrendered rebels while vigorously prosecuting the war in Dhofar. He obtained direct military support from the U.K., Iran, and Jordan. By early 1975, the guerrillas were confined to a 50-square kilometer (20-sq. mi.) area near the Yemen border and shortly thereafter were defeated. As the war drew to a close, civil action programs were given priority throughout Dhofar and helped win the allegiance of the people. The PFLO threat diminished further with the establishment of diplomatic relations in October 1983 between South Yemen and Oman, and South Yemen subsequently lessened propaganda and subversive activities against Oman. In late 1987, Oman opened an embassy in Aden, South Yemen, and appointed its first resident ambassador to the country. The northern tip of Oman, called the Musandam Peninsula, is strategically located on the Strait of Hormuz, the entrance to the Gulf, 35 miles directly opposite Iran. Oman is concerned with regional stability and security, given tensions in the region, the proximity of Iran and Iraq, and the potential threat of political Islam. Oman maintained its diplomatic relations with Iraq throughout the 1990-91 Gulf war while supporting the UN allies by sending a contingent of troops to join coalition forces and by opening up to prepositioning of weapons and supplies. In addition, since 1980 Oman and the U.S. have been parties to a military cooperation agreement, which was revised and renewed in 2010. Oman also has long been an active participant in efforts to achieve Middle East peace. Sultan Qaboos bin Sa'id rules with the aid of his ministers. His dynasty, the Al Sa'id, was founded about 250 years ago by Imam Ahmed bin Sa'id Al Bu Said. Sultan Qaboos is a direct descendant of the 19th-century ruler, Sa'id bin Sultan, who first opened relations with the United States in 1833. Since his accession in 1970, Sultan Qaboos has balanced tribal, regional, and ethnic interests in composing the national administration. The Council of Ministers, which functions as a cabinet, consists of 31 ministers (but only 29 ministries), all directly appointed by Qaboos. The Sultanate does not have political parties, and new powers that were granted to the bicameral representative bodies in 2011, which allow proposing and amending legislation, do not provide for a fully independent legislature. In November 1991, Sultan Qaboos established the Majlis al-Shura (Consultative Council), which replaced the 10-year-old State Consultative Council, in an effort to systematize and broaden public participation in government. Representatives were chosen in the following manner: Local caucuses in each of the 59 districts sent forward the names of three nominees, whose credentials were reviewed by a cabinet committee. These names were then forwarded to the Sultan, who made the final selection. Since then, reforms have permitted Omanis to freely run for office in contested elections featuring universal adult suffrage. The elected Consultative Council serves as a conduit of information between the people and the government ministries. The Oman Council, of which the Consultative Council comprises one half, can approve or suggest amendments to legislation, propose legislation, convoke service ministers, recommend policy, and conduct studies on public policy. It has no authority in the areas of foreign affairs, defense, security, and finance. In early 2003, Sultan Qaboos declared universal suffrage for the October 2003 Majlis al-Shura elections. Two women were elected to sit with 82 male colleagues in those elections, which were observed to be free and fair. Roughly 194,000 Omani men and women, or 74% of registered voters, participated in the elections. Elections were held again in 2007 and 2011. The appointed Majlis al-Dawla (State Council) acts as the upper chamber in Oman's bicameral representative body. As of 2011, Sultan Qaboos had expanded the Majlis al-Dawla to 83 members from 53. In November 1996, Sultan Qaboos presented his people with the "Basic Statute of the State," Oman's first written "constitution." It guarantees various rights within the framework of Shari'a and customary law. It partially resuscitated long dormant conflict-of-interest measures by banning cabinet ministers from being officers of public shareholding firms. Perhaps most importantly, the Basic Statute provides rules for the royal succession. Oman's judicial system is based on Shari'a — the Quranic laws and the oral teachings of the Islamic Prophet Muhammad. Traditionally, family courts fell under the jurisdiction of the Ministry of Justice, Awqaf, and Islamic Affairs (since divided into the Ministry of Justice and the Ministry of Endowments and Religious Affairs). Oman's first criminal code was not enacted until 1974. In 1999, royal decrees placed the entire court system under the financial supervision of the Ministry of Justice, though the 1996 Basic Statute ensures the independence of the judiciary. Also, an independent Office of the Public Prosecutor (formerly a part of the Royal Oman Police) and a supreme court were created. Regional court complexes were envisioned to house the various courts, including the courts of first instance for criminal cases and Shari'a cases (family law and inheritance). The country is divided into 63 administrative districts (wilayats), presided over by appointed executives (walis) responsible for settling local disputes, collecting taxes, and maintaining peace. Most wilayats are small in area, but can vary considerably in population. The 63 wilayats are divided into 11 governorates. The governors are appointed directly by the Sultan and hold Minister of State or Under Secretary rank. Walis, however, are appointed by the Minister of Interior. Although Oman enjoys a high degree of internal stability, regional tensions in the aftermath of the 1980-88 Iran-Iraq war, 1990-91 Persian Gulf war, and Operations Enduring Freedom and Iraqi Freedom continue to necessitate large defense expenditures. In 2006, Oman spent roughly $3.84 billion for defense and national security — over 33% of its public expenditures. Oman maintains a small but professional and effective military, supplied mainly with British equipment in addition to items from the United States, France, and other countries. British officers, on loan or on contract to the Sultanate, help staff the armed forces, although a program of "Omanization" has steadily increased the proportion of Omani officers over the past several years. When Oman declined as an entrepot for arms and slaves in the mid-19th century, much of its former prosperity was lost, and the economy turned almost exclusively to agriculture, camel and goat herding, fishing, and traditional handicrafts. Today, oil and gas fuel the economy, and revenues from petroleum products have enabled Oman's dramatic development over the past 40 years. Oil was first discovered in the interior near Fahud in the western desert in 1964. Petroleum Development (Oman) Ltd. (PDO) began production in August 1967. The Omani Government owns 60% of PDO, and foreign interests own 40% (Royal Dutch Shell owns 34%; the remaining 6% is owned by Compagnie Francaise des Petroles [Total] and Partex). In 1976, Oman's oil production rose to 366,000 barrels per day (b/d) but declined gradually to about 285,000 b/d in late 1980 due to the depletion of recoverable reserves. From 1981 to 1986, Oman compensated for declining oil prices by increasing production levels to 600,000 b/d. With the collapse of oil prices in 1986, however, revenues dropped dramatically. Production was cut back temporarily in coordination with the Organization of Petroleum Exporting Countries (OPEC) — of which Oman is not a member — and production levels again reached 600,000 b/d by mid-1987, which helped increase revenues. By 2000, production had climbed to more than 900,000 b/d; however, it declined to roughly 750,000 b/d for 2006. Now at 865,000 b/d, Oman is on track to reach its goal of 1 million b/d through the use of innovative enhanced oil recovery techniques. Natural gas reserves, which will increasingly provide the fuel for industrial projects in Sohar and power generation and desalination plants throughout the Sultanate, stand at 24 trillion cubic feet. A liquefied natural gas (LNG) processing plant located in Sur was opened in 2000, with production capacity of 6.6 million tons per year (tons/yr), as well as unsubstantial gas liquids, including condensates. The completion of the plant's expansion in December 2005 increased capacity to 10.3 million tons/yr. Agriculture and fishing are the traditional way of life in Oman. Dates, grown extensively in the Batinah coastal plain and the highlands, make up most of the country's agricultural exports. Coconut palms, wheat, and bananas also are grown, and cattle are raised in Dhofar. Other areas grow cereals and forage crops. Poultry production is steadily rising. Fish and shellfish exports totaled $104.7 million in 2006. The government is undertaking many development projects to modernize the economy, improve the standard of living, and become a more active player in the global marketplace. Oman became a member of the World Trade Organization in October 2000, and continues to amend its financial and commercial practices to conform to international standards. The country signed a free trade agreement with the United States in January 2006, which entered into force in January 2009. Oman continues to pursue, through the Gulf Cooperation Council (GCC), free trade agreements with a number of other key trading partners, including the European Union and India. Increases in agriculture and especially fish production are believed possible with the application of modern technology. The Muscat capital area has both an international airport at Seeb and a deepwater port at Port Sultan Qaboos. The large-scale modern container port and free zone at Salalah, capital of the Dhofar Governorate, continues to operate at near-capacity levels. The government in early 2004 approved a project worth over $250 million to add two berths and extend the breakwater at the port. Port expansion with a focus on tourist cruise ships is underway at Port Sultan Qaboos, and a large industrial and container port and free zone is in operation in Sohar. A national road network includes a $400 million highway linking the northern and southern regions. The government also recently expanded passenger and cargo capacity at its main international airports at Seeb (Muscat) and Salalah, and will construct new airports at Sohar, Ras al-Hadd, and Duqm, where a dry dock recently began operations and a modern city and free zone are planned. In an effort to diversify the economy, in the early 1980s, the government built a $200-million copper mining and refining plant at Sohar. Other large industrial projects underway or being considered include an 80,000 b/d oil refinery, a large petrochemical complex, fertilizer and methanol plants, an aluminum smelter, and two cement factories. Industrial zones at Rusayl, Sohar, and several other locations showcase the country's modest light industries. Marble, limestone, copper, and gypsum may prove commercially viable in the future. The Omani Government embarked on its seventh 5-year plan in 2006. In its efforts to reduce its dependence on oil and expatriate labor, the government projects significant increases in spending on industrial and tourism-related projects to foster income diversification, job creation for Omanis in the private sector, and development of Oman's interior. Government programs offer soft loans and emphasize the building of new industrial estates in population centers outside the capital area. The government is giving greater emphasis to "Omanization" of the labor force, particularly in banking, hotels, and oil and gas operations benefiting from government subsidies. Currently, efforts are underway to liberalize investment opportunities in order to attract foreign capital, such as updating the foreign investment law. From 1996-2008, Oman's non-oil exports grew at a compound annual rate of more than 20%. Some of the largest budgetary outlays are in the areas of health services and basic education. The number of schools, hospitals, and clinics has risen exponentially since the accession of Sultan Qaboos in 1970. 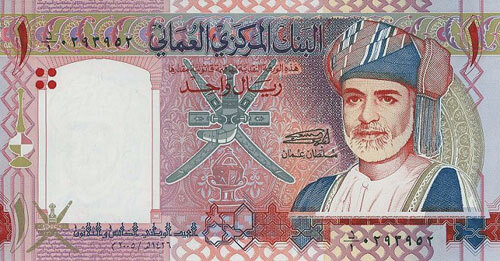 After the Arab Spring protests in early 2011, the Government of Oman authorized a 1 billion Omani rial ($2.6 billion) increase in social spending — including stipends for military and civil service employees and scholarships — along with new mandates for the private sector such as an increase in the minimum wage and a push to boost hiring of Omani citizens. U.S. firms face a small and highly competitive market dominated by trade with Japan and Britain and re-exports from the United Arab Emirates. The sale of U.S. products also is hampered by higher transportation costs and the lack of familiarity with Oman on the part of U.S. exporters. However, the traditional U.S. market in Oman, oil field supplies and services, should grow as the country's major oil producer continues a major expansion of fields and wells. Major new U.S. investments in oil production, industry, and tourism projects in 2005 totaled several billion dollars. Negotiations on the U.S.-Oman Free Trade Agreement (FTA) were successfully concluded in October 2005; the FTA was ratified by the U.S. Congress and signed by President George W. Bush in 2006. 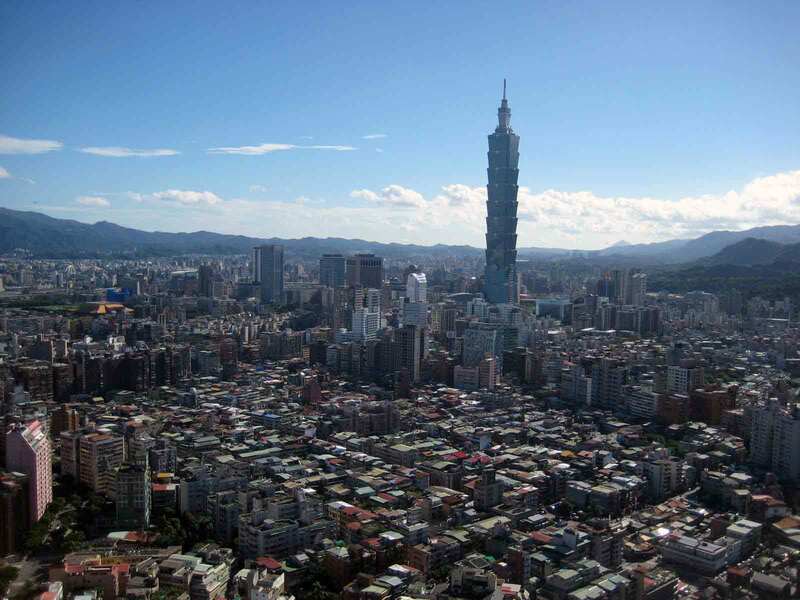 It entered into force on January 1, 2009, providing further impetus to bilateral trade and investment by offering advantages such as exemption from duties, national treatment, and 100% foreign ownership. When Sultan Qaboos assumed power in 1970, Oman had limited contacts with the outside world, including neighboring Arab states. Only two countries, the United Kingdom and India, maintained a diplomatic presence in the country. A special treaty relationship permitted the United Kingdom close involvement in Oman's civil and military affairs. Ties with the United Kingdom have remained very close under Sultan Qaboos. Bilateral ties with China have also increased considerably since 2007, as trade between the two nations has expanded rapidly. Since 1970, Oman has pursued a moderate foreign policy and expanded its diplomatic relations dramatically. It supported the 1979 Camp David accords and was one of three Arab League states, along with Somalia and Sudan, which did not break relations with Egypt after the signing of the Egyptian-Israeli Peace Treaty in 1979. During the 1980-88 Iran-Iraq war, Oman maintained diplomatic relations with both sides while strongly backing UN Security Council resolutions calling for an end to the war. Oman has developed close ties to its neighbors; it joined the six-member Gulf Cooperation Council when it was established in 1981. 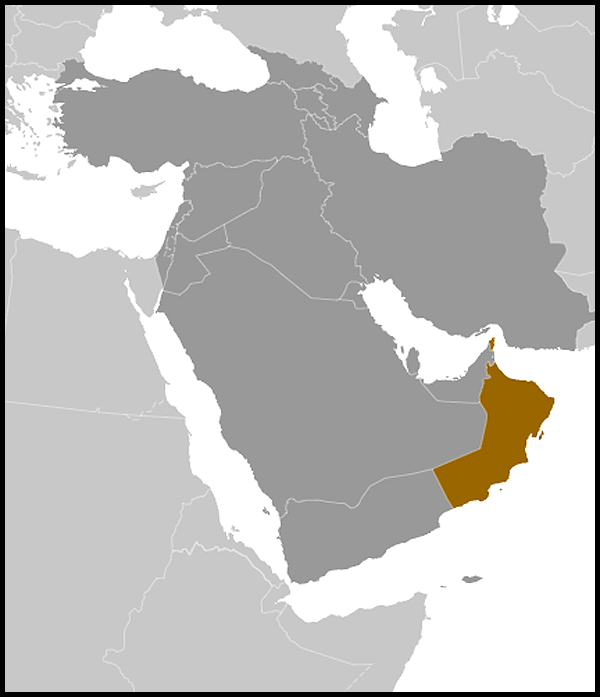 During the Cold War period, Oman avoided relations with communist countries because of communist support for the insurgency in Dhofar. In recent years, Oman has undertaken diplomatic initiatives in the Central Asian republics, particularly in Kazakhstan, where it is involved in a joint oil pipeline project. In addition, Oman maintains relations with Iran, and the two countries regularly exchange delegations. Oman is an active member in international and regional organizations, notably the Arab League and the GCC. A U.S. consulate was maintained in Muscat from 1880 until 1915. Thereafter, U.S. interests in Oman were handled by U.S. diplomats resident in other countries. In 1972, the U.S. ambassador in Kuwait was accredited also as the first U.S. ambassador to Oman, and the U.S. embassy, headed by a resident charge d'affaires, was opened. The first resident U.S. ambassador took up his post in July 1974. The Sultanate of Oman opened its embassy in Washington, DC, in 1973. In March 2005, the U.S. and Oman launched negotiations on a free trade agreement that were successfully concluded in October 2005. The FTA was signed on January 19, 2006, and entered into force on January 1, 2009. In 1974 and April 1983, Sultan Qaboos made state visits to the United States. Vice President George H.W. Bush visited Oman in 1984 and 1986, and President Bill Clinton visited briefly in March 2000. Vice President Richard Cheney visited Oman in 2002, 2005, and 2006. Please visit the Embassy's Internet website at (http://oman.usembassy.gov/) for more information.